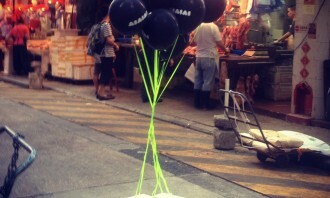 AIAIAI, a Danish headphone brand, has partnered with SALT and Milk Magazine to roll out a three day campaign “Make the city sound better – Hong Kong Edition”. On top of promoting the brand, the project aims to encourage Hong Kongers to rediscover well-known locations around the city using sound. Jointly created by AIAIAI and SALT, the campaign is a treasure hunt, of sorts, using Instagram and Milk Magazine’s Facebook page to release short videos giving hints to location of the headphones. The 15-second videos are made up of audio mixed versions of iconic Hong Kong sounds from buses, trams and pedestrian crossings. 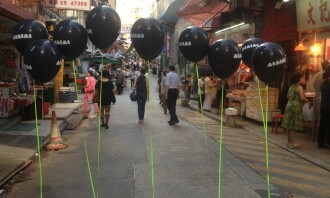 The campaign also extends to a pop-up store at SALT’s Sai Ying Pun showroom tonight. “Hong Kong is an extremely noisy city and it’s sometimes hard to stop and appreciate some of the truly iconic sounds it has to offer,” Tem Hansen, strategy director at SALT, said. SALT creative director Tim Ho added that for new brands coming to Hong Kong, it was important to embrace local culture, while still staying true to the brand’s own aesthetic and story. AIAIAI is part of a growing portfolio for the founders of SALT. Since its launch last year it has worked with Nikon, ZARA, Swire and Timberland. The e-wallet app, vcash, will be launched in Kuching International Airport to boost the Sarawak Digital Economy Strategy 2018-2022..
Another unconventional move by Scoot to help the agencies understand the Scoot brand better. More here on the agencies that nabbed..